Interactive Life Skills Bulletin Board BUNDLE - 3 complete set ups! Interactive vocational / life skills bulletin board! 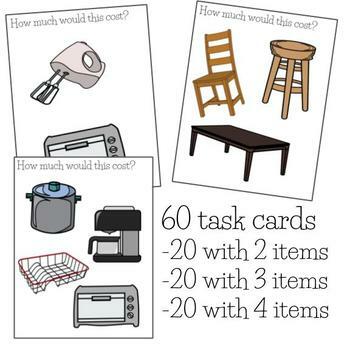 This is such a great way to engage students in working on money, budgeting, and so many more skills! Make your bulletin boards more then just a visual-- encourage students to interact while learning important life skills. My students enjoyed the "grocery store" interactive bulletin board in our classroom, but when we wanted a new store, I created this one with household items. 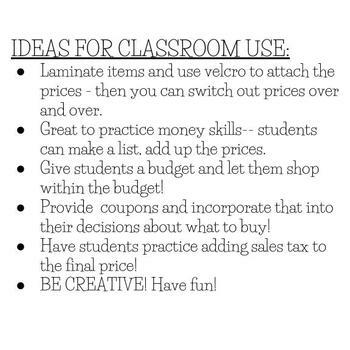 Laminate and use velcro to attach the prices, and use this activity over and over! 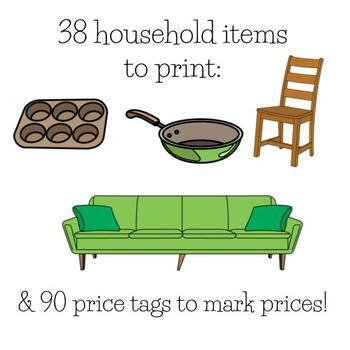 I hope that you and your students enjoy this as much as we do! Like this? 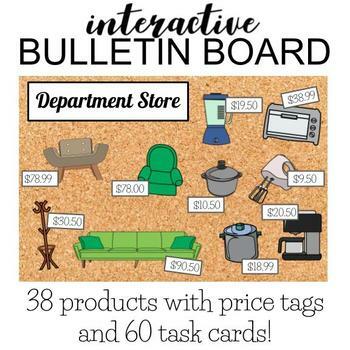 Check out my other products with interactive bulletin boards! instagram: @thesmallbutmightyteacher | pinterest: The Small But Mighty Teacher!